Limited Time! 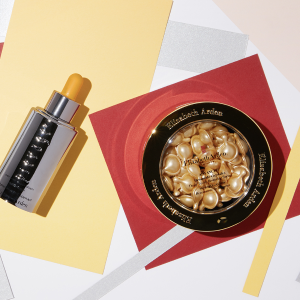 Elizabeth Arden offers 30% off on your order plus spend $150 or more and receive Retinol Ceramide Capsules Line Erasing Night Serum Deluxe Sample (7-piece) via coupon code DMSINGLES . Cart must value $150 after 30% discount has been applied to qualify for Retinol Ceramide Capsules Line Erasing Night Serum Deluxe Sample (7-piece). Plus， Elizabeth Arden offers 15% Off any $50 Purchase via coupon code ARDEN1111 . Offer Excludes PREVAGE® Progressive Renewal Treatment. Free shipping on all orders over $50. Cart must value $50 after 30% off in order to receive free shipping. Deal ends 11/12/18 at 2:59 am EST. One per customer, while supplies last. Shipping offer only valid in the continental United States. Excludes P.O. Box deliveries. Not valid on past purchases. Offers are not exchangeable for cash or credit toward products. Offers subject to change without notice.